Before the formation of Crosby, Stills and Nash, each of the members had belonged to their own famous group. Crosby had been a member of the Byrds as a singer-songwriter and guitarist; Stills had performed with Buffalo Springfield, also as a singer-songwriter and guitarist. And Graham Nash also played a similar role in the British pop group The Hollies. Crosby and Stills had met multiple times before they began jamming together. Nash first encountered Crosby in 1966 when the Byrds had made a tour in the UK, and the met him two years later. When he also encountered Stills and participated in a vocal tryout with him and Crosby while at a party, they realized that their voices harmonized so well with each other. They were seriously thinking of forming a band. Another rock/folk star Neil Young would occasionally appear as the band’s fourth member, making them Crosby, Stills, Nash & Young. Their close, tight harmonies and their brand of rock/folk rock/soft rock songs helped the group sell millions of albums especially during their heyday in the 1970s. Each of the future CSN members was facing dilemmas with their own bands which they eventually left, leading to the formation of Crosby, Stills and Nash in 1968. They were signed to Atlantic Records and released their first eponymous album in May 1969. It did very well, spawning two Top 40 singles: “Marrakesh Express” (at #28) and “Suite: Judy Blue Eyes” (at #21). The album itself went to #6 on the Billboard 200 album chart. With the impact of their first album, the band needed more musicians to back them up, as Stills virtually did all the instruments for the exception of the drums which were done by session player Dallas Taylor. Neil Young, Stills’ former Buffalo Springfield bandmate, joined the group at the recommendation of Atlantic Records’ head Ahmet Ertegun (who was obviously a fan of the band). Some of the group’s members expressed reservations at first, but after their meetings with Young, he was accepted into the band, with contract stipulations allowing Young to maintain his own career with his band Crazy Horse. The band completed the roundup with a rhythm section. The newly restructured Crosby, Stills, Nash & Young began to perform ins such venues such as Altamont Free Concert and Woodstock. Crosby, Stills and Nash & Young recorded their second album Deja Vu, which was released in March 1970 – their first album with Neil Young in it. It topped the Billboard album charts and yielded three singles that made a dent on the Top 40: their cover of Joni Mitchell’s “Woodstock” (at #11; they had also performed this on the festival to wildly enthusiastic reception from the concert attendees), “Teach Your Children” (at #16) and “Our House” (at #30). With their success together as a group, each of the band members did well in their solo careers. 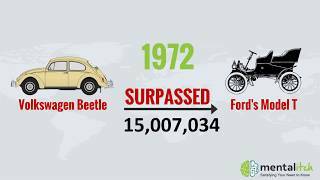 The early 1970s was the most fruitful period for them. Nash’s own effortSongs For Beginners (1971), Crosby’s If I Could Only Remember My Name (1971), Still’s self-titled debut solo album (1970) and Young’s After The Gold Rush (1970) had done well on the charts and received positive review from music critics. Most notable was Young’s ascent into superstardom when his 1972 album Harvest became a worldwide chart topper, and its accompanying single “Heart Of Gold” topped the Billboard’s Hot 100 chart. There had been talks of Crosby, Stills, Nash and Young releasing another album. In fact, they were recording for it, but altercations among the band members caused them to separate, thus the recordings were never completed and no album was released. However, in 1974 the band reunited through the encouragement of their manager Eliot Roberts. With few new musicians in tow, CSNY were embarking on their outdoor stadium tour, their first-ever. However, among the band members the reunion was less than happy instead it was a shaky and strained get-together. The tensions they had in the past were not over yet, and moreover taking a toll on them now. Capitalizing on the hyped comeback, Atlantic ditched plans of a new CSNY album of fresh material and instead released the compilation So Far in the same year. It topped the Billboard 200 album charts. Souring on their record label, Crosby and Nash decided to form a duo known as Crosby & Nash, while Stills and Young returned to their solo careers. In 1977, Crosby, Stills and Nash regrouped and released their third album CSN; it was the first album without Young in it since his inclusion to the band. The album generated their first-ever Top 10 hit, the Nash-penned “Just A Song Before I Go” which peaked at #7. The single helped propel CSN to #2 on the Billboard 200 album charts. After the the CSN album release, the band took a five-year hiatus before releasing another best-selling album Daylight Again in 1982. It generated two Top 20 singles such as “Southern Cross” (at #18) and another Top Ten hit “Wasted On The Way” (at #9). Productivity on the part of the band was hampered due to Crosby’s drug addiction, and even though they continued on their recording and touring, his problems only aggravated. He was arrested and jailed several times for drug and weapons possession. Neil Young joined the band upon Crosby’s release from prison, on the condition that he should clean and pull himself together from his addictions. American Dream, their reunion album, was released in 1988. Although it got less than enthusiastic reviews, it did well on the Billboard 200, placing at #16. CSN recorded and released two more albums in the 1990s, Live It Up and After The Storm, which was their last album under Atlantic. Both albums performed moderately well on the Billboard 200, though much lower compared to their previous releases. 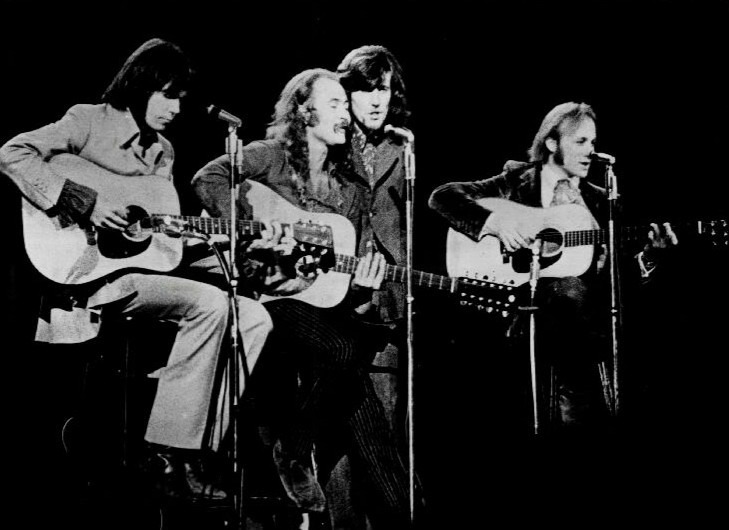 After their long association with Atlantic, CSNY found themselves without a recording contract, so they began to finance themselves for their next recording. They released another album Looking Forward in 1999, under Reprise Records, where Neil Young has been a contract artist. It did well on the Billboard 200 at #26. Prior to this, in 1997 Crosby, Stills & Nash were inducted into the Rock and Roll Hall of Fame. Each of the members had the distinction twice in their careers. Crosby was inducted into this honor as member of the Byrds, while Stills as a member of Buffalo Springfield, and Nash as a member of the Hollies. Young has been inducted as being a member of Buffalo Springfield and as a solo artist, but not as a CSN member. Crosby, Stills & Nash (and occasionally with Young) still actively perform together. Being an activist musical group, they supported Young’s solo album, 2006’s Living With War which lambasted the Bush administration especially on its handling on the war in Iraq. It received nominations from Grammy and Juno (Canada’s prestigious music awards). The group is still actively engaging in political causes. The group’s latest effort was 2012’s live album CD and DVD CSN 2012, based on their tour that year. Crosby, Stills & Nash & Young as a supergroup has sold millions of albums especially during their heyday in the 1970s. Their tight harmonies, solid musicianship and songs about relationships and political awareness and activism still resonate in the hearts and minds of their fans and followers.